This month Seattle voters will cast their ballots on Propositions 1 and 2, levies to support Seattle Public Schools. These levies are critical to providing our district with the funds they need to educate our kids. We encourage you to vote YES on each of the levies to ensure every child can get a quality public education. If you haven’t been following the levies, here are the basics. Proposition 1, the Educational Programs and Operations (EP&O) Levy, covers the operating gaps the State currently does not fund. For example, the State funds nine nurses, the district employs 63. Proposition 2, the Building Excellence V (BEX V) Capital Levy, funds the construction of new buildings, design for future schools, and equitable technology investments in classrooms. The list of projects to be completed by BEX V can be found here. sea.citi has been making our own investments in local schools over the last few months. Our network of tech and innovation workers want all kids to thrive. We volunteer, raise flexible funds, source school supplies, and help connect education to work. We do this because supporting local public education is critical to maintaining a healthy community and strong economy here in Seattle. Let’s make sure young people in our city get the education they deserve. 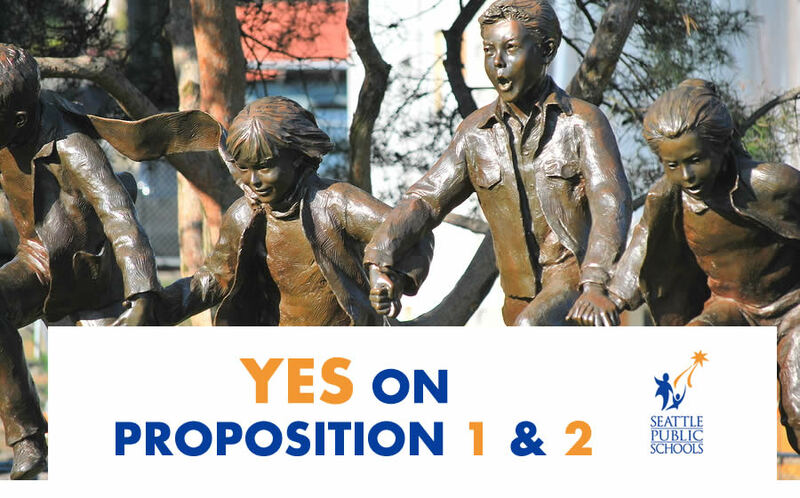 Vote YES on Propositions 1 & 2 and make sure to return your ballot by Tuesday, February 12th. If you want more details about the levies, make sure to look at Seattle Public Schools levies page.